So, last week I went to Budapest, by train, using an InterRail pass. Quite an ingenious system to encourage youngsters to hike around Europe. However, my pass was still valid for one more weekend. So that means I could go anywhere I wanted this weekend! Now, I remember standing in front of the map of Europe, covering the white wall above my desk, wondering where to go in the tiny time span of 48 hours. I looked up crazy destinations like Sarajevo, but they would take me a 24 train ride. Single direction. You can do the maths for yourself and come with the solution of 24+24=”weekend not well spent”. So I decided that 5 hours should be the strict maximum for the transporting part of my weekend. I drew an imaginary circle around Frankfurt, covering most neighbouring countries but I didn’t feel a lot for most of them. 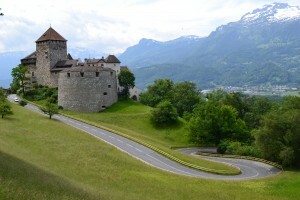 After which my eye fell upon Liechtenstein. A small nation I’ve never visited before and fuelled by the thought “why else would I visit Liechtenstein”, I was standing at the platform, waiting for the train to Liechtenstein the next morning. The evening before I rushed towards the book store, looking for information on the small country, but safe to say, I didn’t find any specialized travelling guide. I only found a book of Switzerland, with 3 pages dedicated to Liechtenstein, 2 of them dedicated to a detailed map of the whole country. Anyways, after a sunny railride passing some Swiss lakes in the Zürich region, I finally crossed the border of Liechtenstein. I decided to stay at a camping spot where I found a tourist guide of Liechtenstein at the reception. I must say, it was a real good read. They literally managed to cover all highlights of their country in the guide. It even had a sports section. 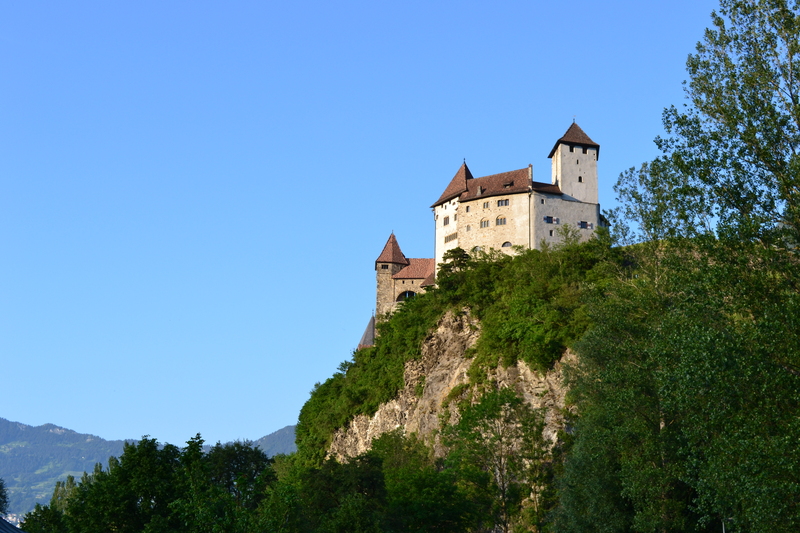 Did you know that Liechtenstein is the most successful Olympic nation ever? They scored a total of 9 Olympic medals. Compared to their population (a mere 30 000), that makes the highest average in the world. It must be noted that all those medals were achieved in the Winter Olympics. It’s also quite interesting that they’re the only nation to have medals at the Winter Olympics, but none at the summer event. 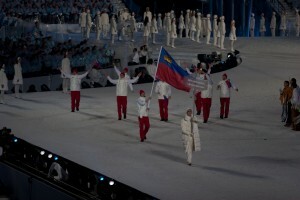 All of their medals are won in the Alpine Skiing as well. Which stresses their Alpine character. Liechtenstein can be summed up like this: a valley and mountains. 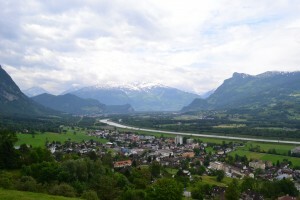 The valley of the Rhine, which separates them from Switzerland, and a mountain ridge on the other side, separating them from Austria. At the smallest point of the country, you only need 5km to walk through it. In fact, taking a picture of the country is very hard if you don’t want the big brothers on the picture. 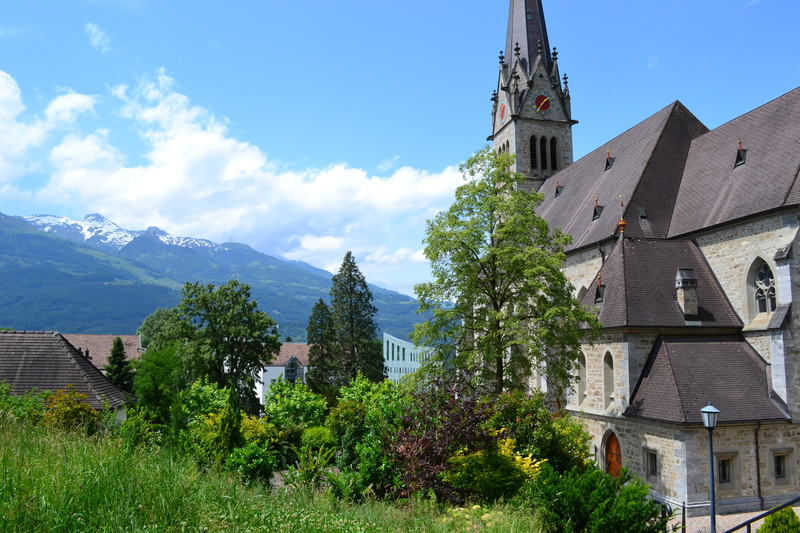 Anyhow, Liechtenstein is a small, charming country. Nice to check out and inarguably an interesting history as well. But if you’re used to city tripping. 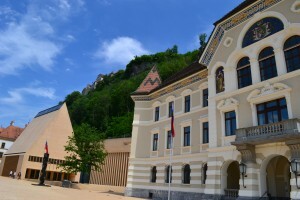 Then Vaduz the “capital/main village” comes out as an oddity. It’s a nice little town, no doubt about that, but if the capital of a country is about the size of the village you live in, it strikes you. Needless to say, we didn’t have an AoC LAN party there. It would have been interesting for sure, but I still have to meet the first AoC fan from Liechtenstein. And goodness gracious, I would die to do so.